It's Summer time!!! I'm flying into this new season with renewed energy after spending a wonderful weekend celebrating herbs and the Summer Solstice at the 9th International Herb Symposium. I am revitalized and inspired by all the wonderful workshops presented by first rate educators and by the positive, nourishing energy everyone shared throughout the weekend. Coming home the celebration continues. My wild garden is lush and vibrant with everything exploding into flower…especially the Leonurus cardiaca… Motherwort…. 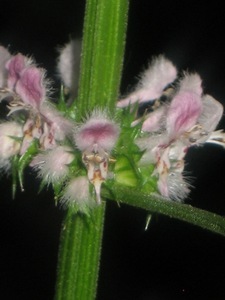 or as Dr. Bill called her, Motherswort… weed for the mother…an incredible green ally for us all. I've been intrigued by three branched growth this year... first with angelica and now the motherwort. I'm reminded of the triple goddess, the original trinity, depicting the maiden, the mother and the crone/ wise-woman phases of life. Motherwort is supportive for women throughout all these life stages. As much as we think of motherwort primarily for women, men can also benefit from her magic, medicine and beauty. Leonurus cardiaca nourishes our heart and soul and calms our nerves! As her latin name implies, she gives us the heart of a lion, bringing courage, strength and the extra confidence we need from time to time to walk boldly forward along our path. Menopausal women, the crones, love Motherwort for her ability to soothe and strengthen nerves, moderate hormones, keep us juicy and help our hearts relax when anxiety tries to move in. Try 10-20 drops of Motherwort tincture the next time you feel stressed or a little blue…at least twice daily. When I take on too many things at once I take Motherwort morning and evening. I squirt half a dropper of the tincture into a mouthful of water which I swish before swallowing. (I leave the bottle next to my toothbrush in the cabinet as a reminder!) Many women value Motherwort's ability to alleviate hot flashes, insomnia and depression that may accompany our menopausal years. In my field notes from long ago, Rosemary Gladstar identifies Motherwort as an excellent herb for menopause and a powerful tonifier for our hearts, grounding and nourishing, especially for our emotional health. By making and taking motherwort tincture to support my emotional wellness I try to live life more optimistically, more joyfully and hopefully more productively! The maidens and mothers are also well served by this green ally. Think of her for PMS, cramping, sleep disturbances, or as an emmenagogue. Leonurus is also a general tonic for the generative organs...for both men and women of all ages. 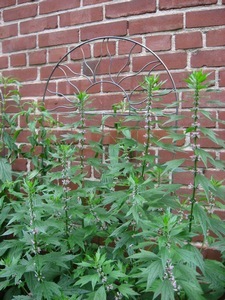 My family appreciates Motherwort's calm, relaxing support during distressed, sorrowful periods of life. 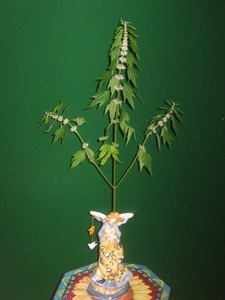 Let Motherwort help to make your world look a little brighter the next time you need it. Dried motherwort leaves can be made into an infusion but I find it difficult to drink due to its extreme bitterness. I'd rather use the tincture which I make by simply clipping the flowering tops into a clean, dry mason jar and then covering the herbs to the top of the jar with 40% or 50% vodka… (50% (100 proof) vodka is not available in Canada…if you travel to the States you can pick up the stronger vodka) for at least six weeks. I then strain it through a filter and bottle it in dark brown bottles. I also pick the young leaves in the spring and tincture them, fresh, in apple cider vinegar which I use in vinaigrettes and marinades. With your Wise Woman ways and the support of Motherwort, may you be brilliant, gorgeous, talented and fabulous long beyond the summer season! Over the years I have been blessed with many Wise Woman teachers. 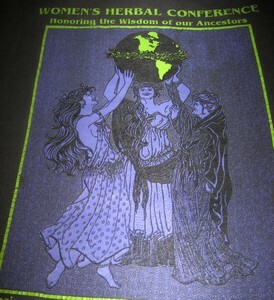 I thank them for sharing their wisdom through their lectures, workshops, websites and books. 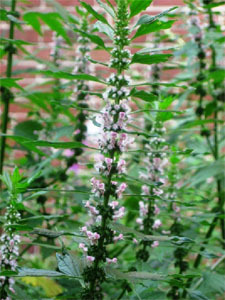 For more information about motherwort and many other herbs, enjoy these insightful and informative resources.